On November 12, 2017 the Babycape “Richard Oldendorff” (118,532 tdw built 2011) arrived at the Go Gia buoys in South Vietnam with the largest ever bulk cargo to be discharged in Vietnam. 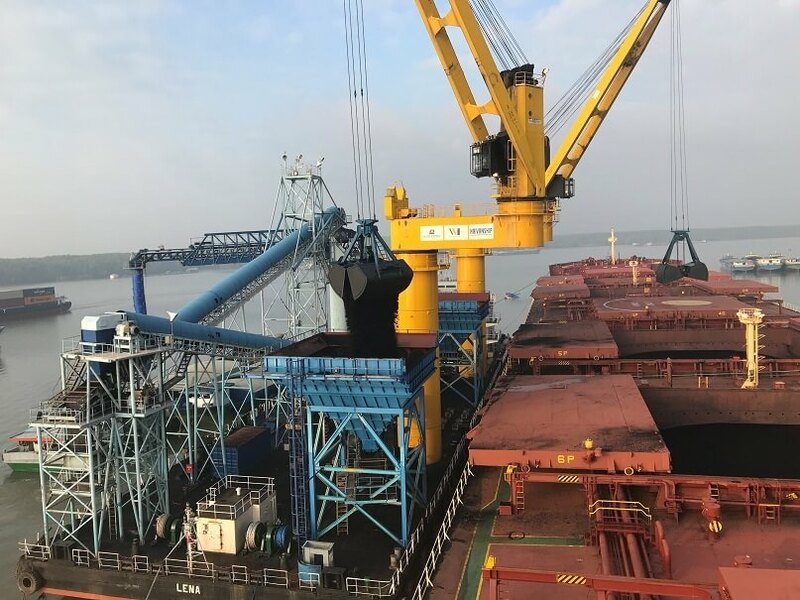 The vessel berthed at the transhipment platform “Lena” with a cargo of about 115,000 mt, to unload a part cargo of 74,634 mt of coal into lighters for South Vietnam customers with restricted draft ports. After lightering in South Vietnam the “Richard Oldendorff” will proceed to Campha port in North Vietnam to discharge the remaining 40,000 mt of coal on-board. 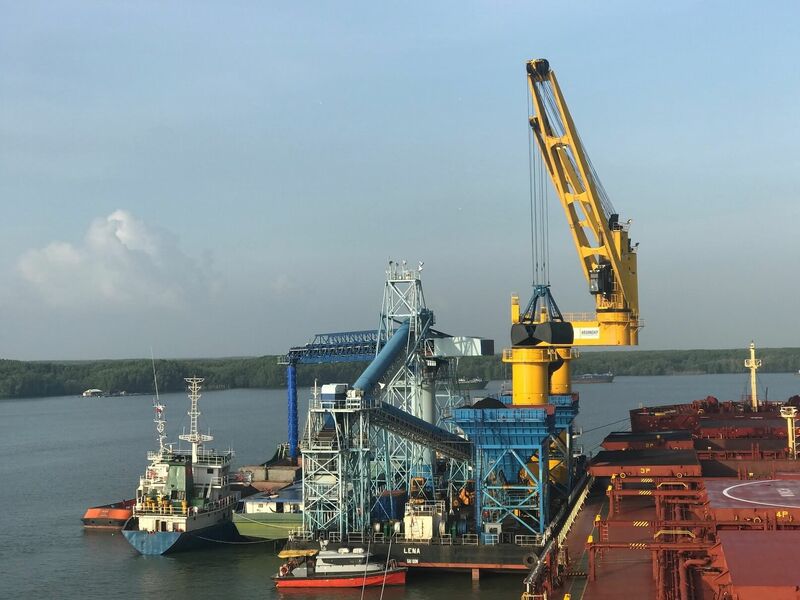 The Vietnam transhipment operation is an alliance between Welhunt, a commodity trader that is very active in coal trading in Vietnam. Oldendorff Carriers, who provide the ocean transportation, and Haivan Shipping Services Corporation (Haivanship) who is providing Vietnam domestic waterway transportation services. The alliance is set up to provide a safe, reliable and cost efficient bulk delivery service to power stations and industrial users in South Vietnam. Vietnam has a fast growing demand for imported coal due to the current and planned construction of coal fired power stations. The power stations are being built in clusters at ports on the Mekong River delta that have restricted draft. The 3-partner alliance offers all coal consumers in South Vietnam the possibility of importing coal from many sources at competitive prices and with minimal risk.